A bunch of the teachers at my school decided to participate in the National Screen Free Week this year along with about 120 of the students. We wrote down some of the things that we wanted to do instead of playing on computers/games and watching TV. Several of us wrote that we would cook more. I got the bright idea that maybe we should have a potluck with some of the new recipes that we were going to try. The first person that responded said she was going to make enchiladas, so I had to find something that would somewhat go with that. It also happened to be May 4th, so the potluck kind of turned in to a Cinco de Mayo theme. 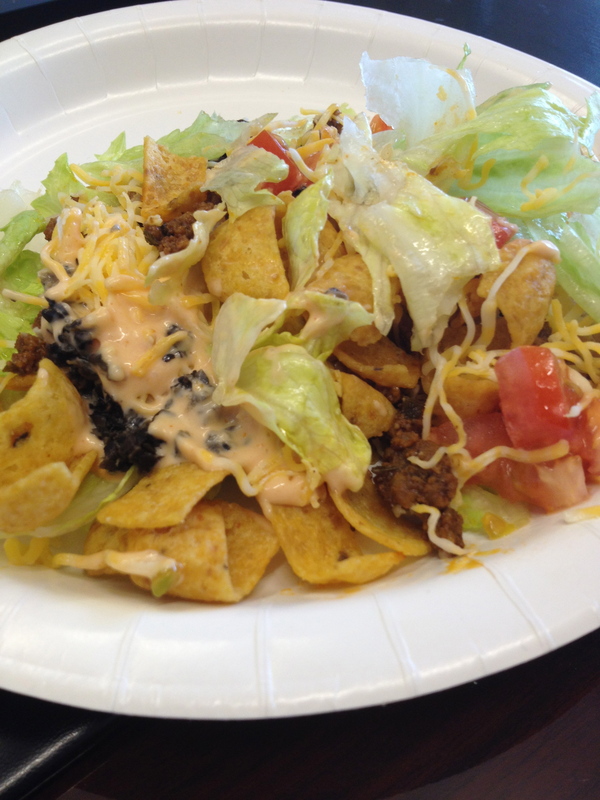 I’ve always liked taco salad, so that is what I decided to make. I found this recipe on Pinterest. 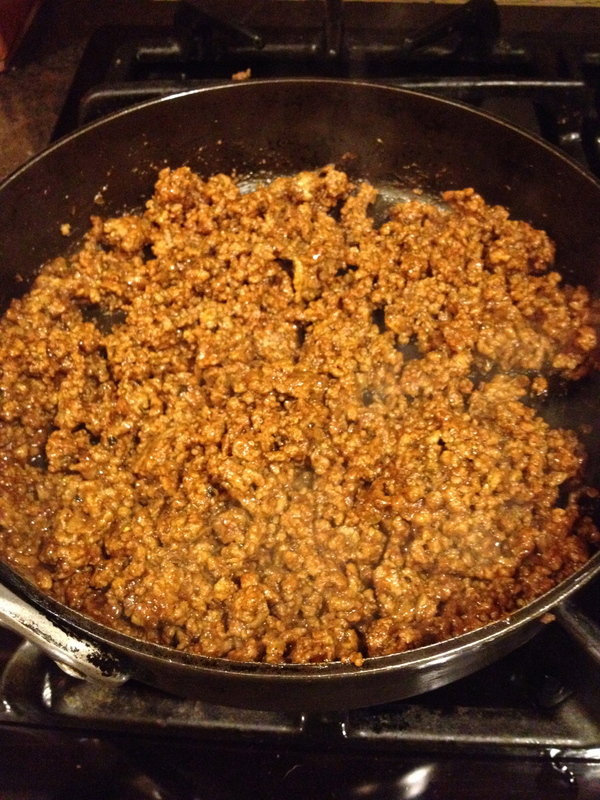 It was pretty good, but I think it would have been easier if I just would have used a packet of taco seasoning. If you don’t like to use pre-made mixes though, this is a great recipe to try! I got this recipe from Taste of Home website. Nutritional Facts1 serving (1 cup) equals 245 calories, 17 g fat (4 g saturated fat), 22 mg cholesterol, 398 mg sodium, 14 g carbohydrate, 2 g fiber, 8 g protein. 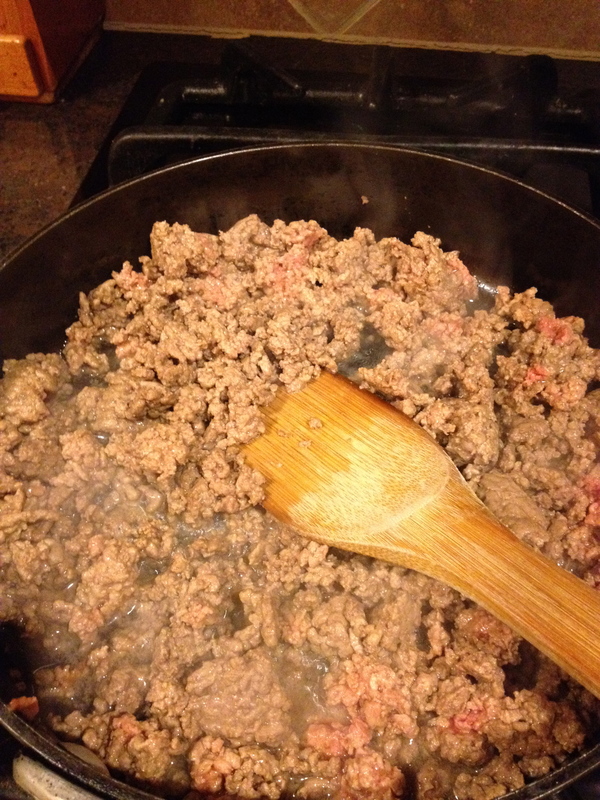 Cook the meat over medium heat until it is no longer pink, then drain. Stir in the ketchup, oregano, chili powder, salt and pepper. After it boils, reduce the heat and let it simmer with a lid on it for 10 minutes. 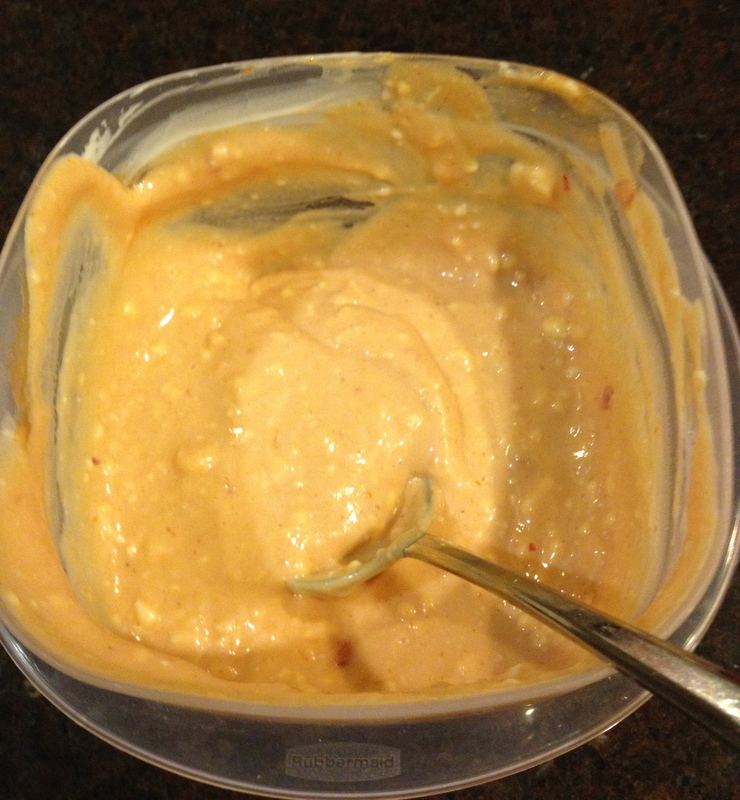 To make the dressing, Mix the taco sauce and the mayonnaise. I had to use my hand blender to get the lumps out. Since it was for a potluck, I served everything separate and let people add all the ingredients the way they wanted for their plate. It can be pre-made for a family if you wanted, but you would need to serve it immediately.